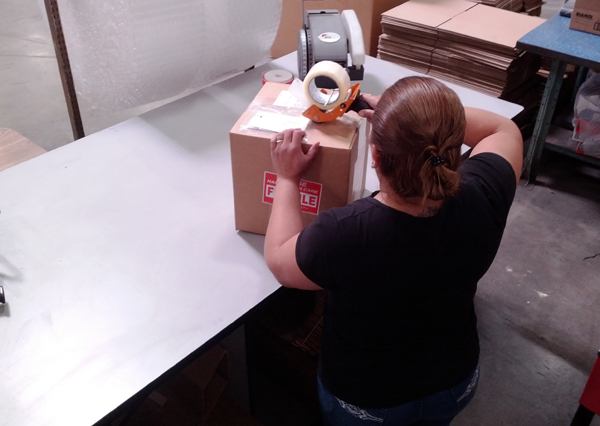 TazPack understands that our customers' success depends on the accurate and timely processing of their orders. As such, we have developed a core offering of fulfillment services with the goal of assisting our clients in reaching ever greater levels of success. Whether we are processing EDI for your retail distribution or processing your web generated sales, our services help give you the advantage of selling and delivering your products across all revenue streams. We maintain your inventory levels, process your orders and arrange your logistics. Keeping your customers happy keeps them coming back and having a partnership with successful companies such as yours is our ultimate goal. Our competitive advantage relies on your continued long term success. Inventory Management - Inventory management is a crucial part of our business. Our state of the art computer software enables our company to be more efficient, which saves time and reduces cost. We can then pass those saving's along to you, our client. Our management personnel in charge of inventory are long time veterans whose hands on approach ensure accuracy. We conduct regular cycle counts to ensure that our client's inventory is correct, and having implemented a checks and balances system we can quickly identify errors and determine their root cause. The biggest mistake is to think that they don't happen. Having an efficient inventory management system is critical for your business to run efficiently as well as ours. We put great emphasis on this here at TazPack because we understand that our performance needs to be the best. 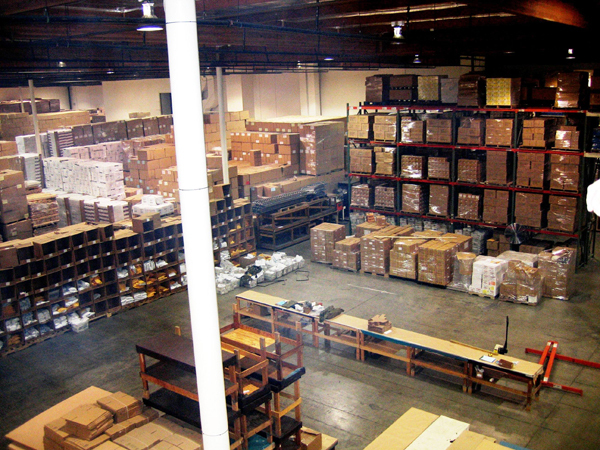 Warehousing - Our facility is conveniently located in Southern California, close to the Port of Los Angeles and the Port of Long Beach, with easy access to all major freeways. We offer bulk storage and rack storage to handle all your needs. Being in the industry over 18 years, TazPack has created a process to assist our clients both large and small. From receiving and storing of your ocean shipments or pallet & box shipments, to the final shipment out to your customers we take the load off your shoulders. Instant warehouse expansion to house over 3,000 pallets gives us the flexibility to offer you the most competitive rates. Our facility is also equipped with 24 hr video surveillance to securely monitor your product, giving you peace of mind. Pick and Pack - We work with clients in all areas, all markets and at all levels. We process for B2B and B2C, from EDI levels down to fax & web orders. We ship to some of the largest companies and distribution centers in the US and Canada. We maintain an extensive library of company routing guides from A to Z. Being knowledgeable and proficient on our client's shipping requirements is one of the keys we hold. We also offer a large array of additional services to fit your needs including repacking, assembly, labeling and kit building. Promotional Distribution - When it comes to marketing, promotional fulfillment and distribution, presentation is key. If you are needing press kits or catalogues assembled, or bulk materials kitted, or individual item packaged, we are the best. Running a college campaign for a new movie or network show? Collating product literature for retail locations? Assembling press kits for your next marketing project? We can do that. From processing to distribution for Advanced Auto to attaching custom Zipper Pulls, and everything in between, we are who you need. Returns Processing - Returned merchandise is a normal part of life in the business world. Handling those returns, however, can quickly become a nightmare for the unprepared organization. Returned merchandise is money, and improperly handled returns can become money lost to your company. We can take the burden of returns processing off of your shoulders. From processing the RMA requests and emailing return shipping labels, inspecting and receiving your merchandise, to closing RMA's and reporting back to you, TazPack has the experience to make the process seamless. Just let us know what your challenges are, we will prepare a returns processing solution that's right for you. Full EDI Services - In today's increasingly connected business world, EDI is fast becoming a "need to have" capability. More and more, potential trading partners are requiring you to have the ability to exchange documents electronically with them before they will enter into a business relationship with you. Don't let the cost and complexity of implementing EDI by yourself from scratch slow your company down. TazPack can handle every aspect of your EDI needs. From complete EDI startups, to integrating existing EDI into our production systems for order fulfillment, TazPack has the experience and existing infrastructure to get your EDI requirements online. We've handled customer EDI implementations with large retailers like Target, Walgreens, CVS and Toys R Us ...just to name a few. We can have your EDI in production quickly and at a lower cost than building your own EDI infrastructure from the ground up. Just give us a call, and let us tell you how we can make your new EDI setup fast and stress free.